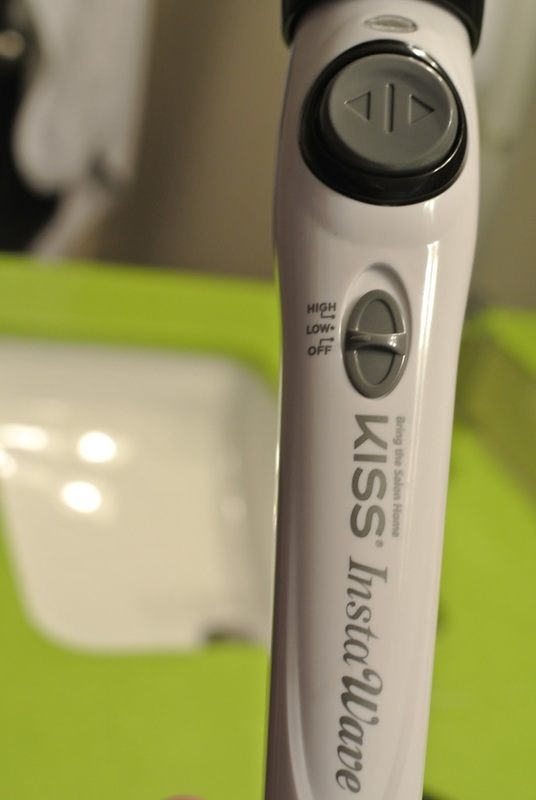 Tuesday's 'Try This', is the Kiss Instawave curler. I was lucky enough to receive a curler to try at home and I wanted to let you all know that this is a great curler. My hair is on the thinner side, and it does not hold a curl very well so I was very excited to try this product. Before you read on you must know the KISS Instawave is a fully automatic tangle-free curler that instantly creates beautiful curls. 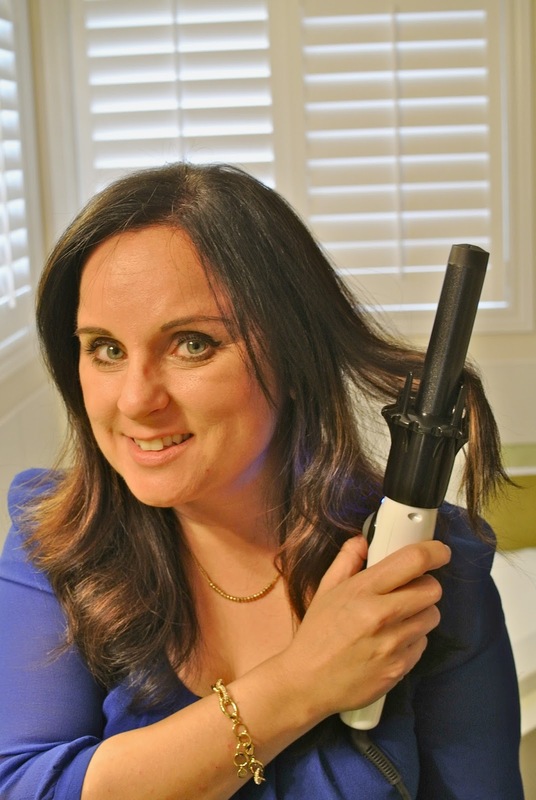 The curler is easy for anyone to use from any angle and with either hand. 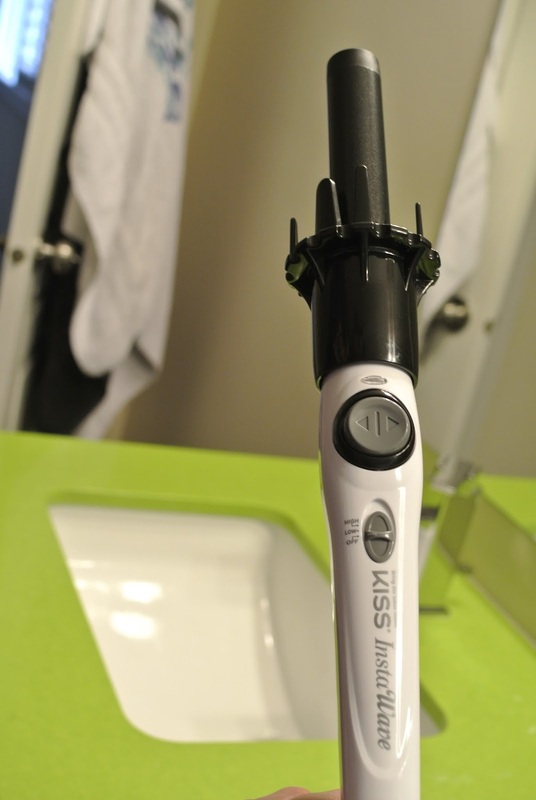 The product features a curl dial with left and right curl directions. The KISS Instawave has two heat settings with low and high switch that reaches a maximum temperature of 420 degrees. This post has been sponsored by KISS Instawave and BrandBacker. I am a bit of a skeptic when it comes to curling irons because of the fact that my hair does not want to hold a curl. This product definitely changed my mind about curling irons. So, how do you use this curler? 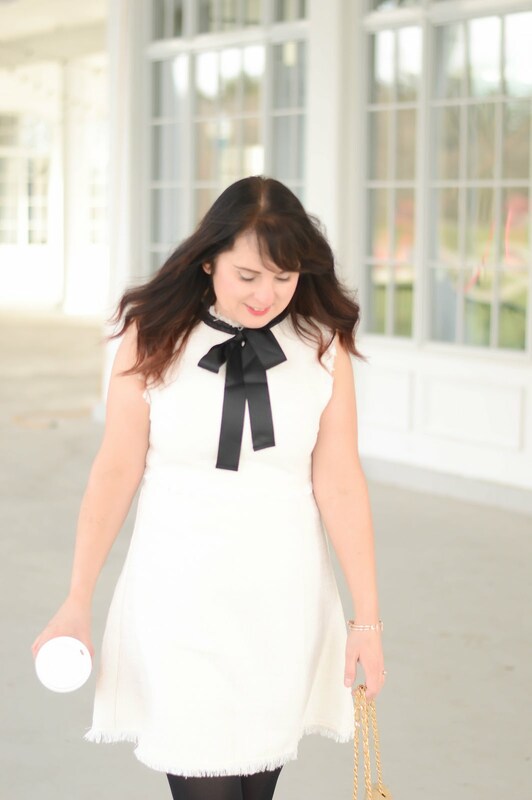 Take a look below at how I created beautiful curls. Hold the KISS Instawave vertical and place a piece of hair next to the barrel. Please do not touch the curling wand. It gets very hot. Choose the direction you want to curl you hair and press the grey right or left curl button. 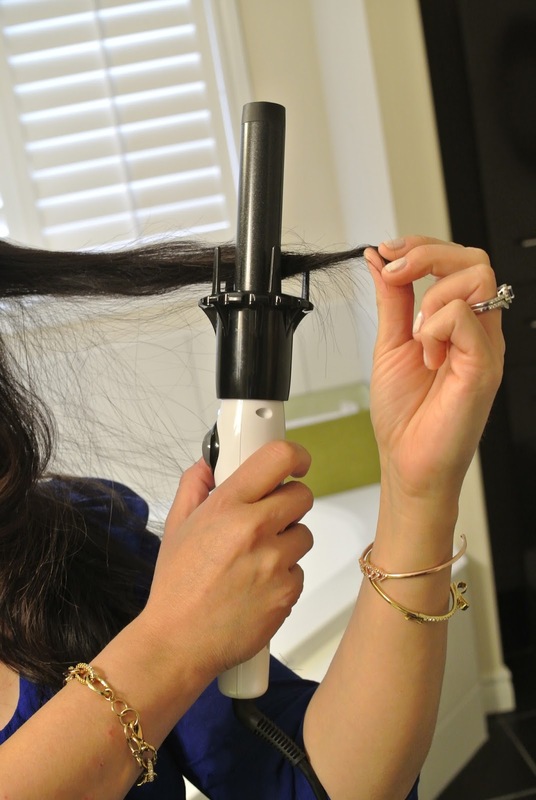 Your hair will begin to wind around the wand automatically. Count to ten or wait ten seconds. Let the hair out. I absolutely love the barrel/vintage curl effect that this curler does to my hair. Start over again, with a different piece of hair. 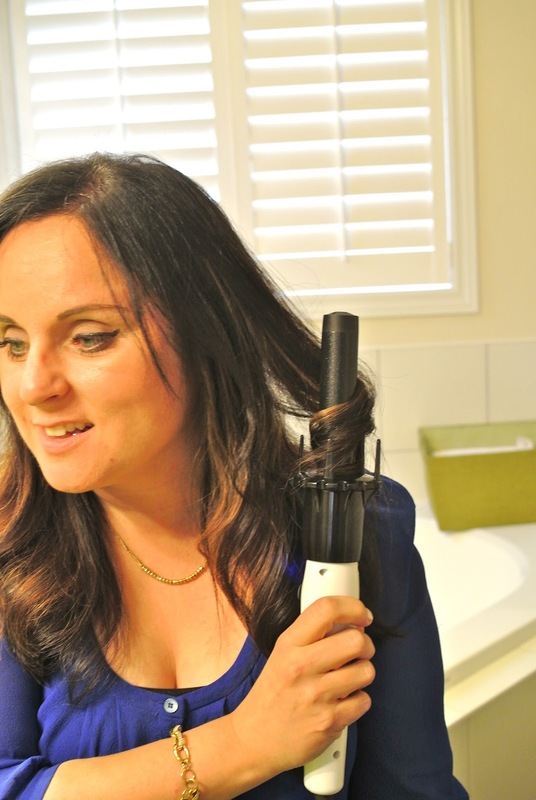 When finished curling your hair, I always like to use hairspray to help keep my curls in place. This is the only curler I have found that keeps curl in my hair for the day. Below you can see the right and left direction button, as well as, the heat control button. This product does heat up very fast (which is fantastic) and will show a blue light when ready. 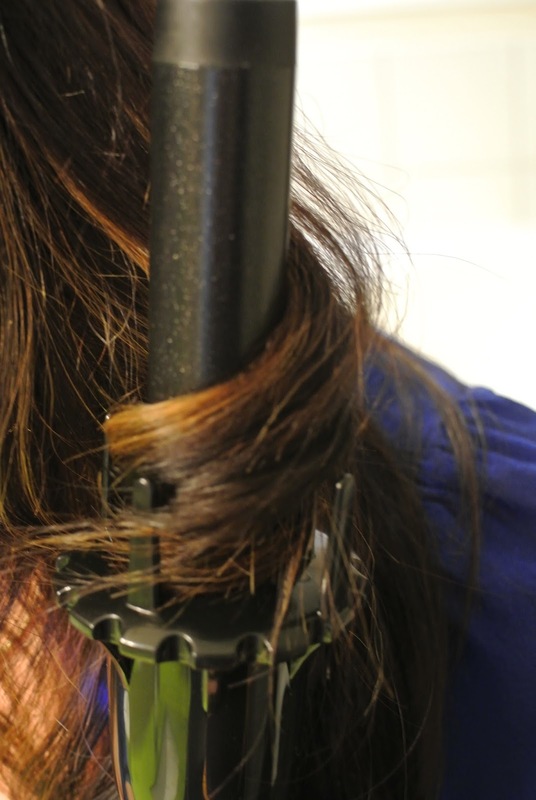 The curling iron catches your hair using these brush like plastic pins placed around the circumference of the appliance. I was thrilled to receive this product and I hope that you love it as much as I do.